Today is a milestone in the life of bass Samuel Ramey - the operatic legend turns 70 today. 70?! Can you believe it? 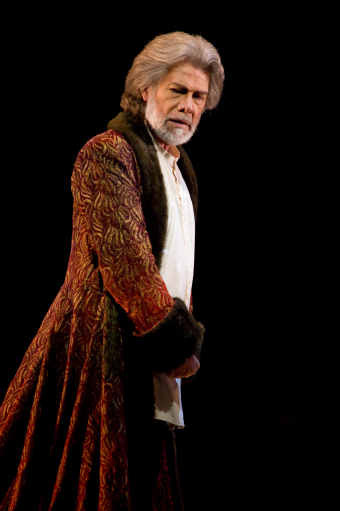 Born in Colby, Kansas in 1942, this corn-fed, mid-western gentleman has been bowling over operatic audiences since his debut as Zuniga in Carmen with New York City Opera in 1973. 11 years later, he would make his Metropolitan Opera debut in Handel's Rinaldo in a cast that included Marilyn Horne and Benita Valente. Since then, Ramey has appeared at the Met hundreds of times in addition to being a returning fixture at houses such as Teatro alla Scala, Covent Garden, Vienna State Opera, the Paris Opera, the Lyric Opera of Chicago and the San Francisco Opera - just to name a few. Ramey currently lives in Chicago where he serves as a member of the faculty at Roosevelt University's Chicago College of Performing Arts - but, being a faculty member hasn't slowed him down. And finally, a number of years ago, Yours Truly was a 25-year old bass baritone who was faced with the daunting task of learning and performing the role of Rev. Olin Blitch in Carlisle Floyd's Susannah. A voice teacher put me in touch with Mr. Ramey via email and he acted as my own personal "Dear Abbey" as I navigated the treacherous waters of that role. I remain exceedingly grateful. Happy 70th Birthday, Samuel Ramey. You remain a cornerstone of opera and an inspiration to many of us who've grown up with your voice in our heads.